Where can I find information regarding the use and management of the Spares in Motion e-commerce? Our Terms and Conditions can be downloaded via the link below. How can I set up and manage my company profile? When creating an account a user can be linked to a company. The first user to link to a company will be automatically the administrator. This can be modified in the administrators dashboard. Every new user which links to the company is accepted (or not) by the company administrator. How to re-size my images for uploading? For uploading images to sparesinmotion.com, we request images to be smaller than 2 MB each. If you have larger size images, you can re-size by using a re-size program e.g. Windows Live Photogallery. Simply select and edit your images and re-size. Also you can 'Save as' your images in a " .gif" extension. This will reduce the size in KBs per image. We are available to answer your questions via phone or email. You can e-mail to support@sparesinmotion.com or contact us on +31-(0)85-4011724. We accept payments via bank transfers, credit card (MasterCard, Visa, American Express) and Paypal. For further information about payment methods and plans, please contact support@sparesinmotion.com. When subscribing to a sellers account, do I have to sign a long-term contract? Can I also sell if I have selected a buyer account? Can I also buy if I have selected a seller account? Yes! Every registered customer can request a quote or buy a part from the suppliers. Yes! Just register, fill in your profile with your preferences for wind turbine brands and types, and if you are a supplier, select a subscription plan and start immediately! Do you provide support in different languages? 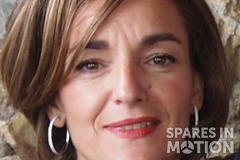 Yes, Spares in Motion provides their content in English, German, Spanish and French. Please select the language that is most convenient for you. Why can I only see some of the suppliers information? To have access to the suppliers' information, you have to be registered as a user on our platform. Registration is completely free. Who can use Spares in Motion? 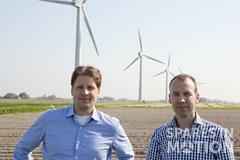 Spares in Motion is a e-commerce and trading platform for the wind turbine aftermarket, facilitating the commerce of parts, products and services in the wind energy field. 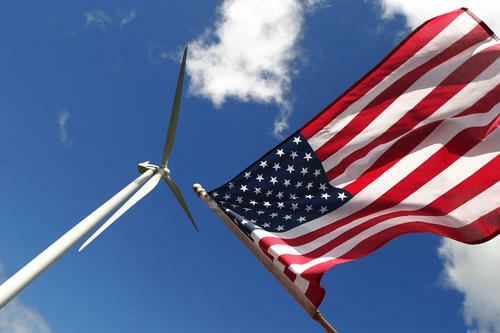 Buyers and suppliers of wind turbine parts, and repairs are the main users of our platform. Spares in Motion uses Excel files to import with the extension .xls. An example/template of such a file can be downloaded below. Please use only one tab, don't use functions or complex meta-data: just values. We assume the first row contains a header, so this will be ignored. The rows noted with an * in the header are required. Please save data as an .xls file only. After uploading the data you can upload the pictures related to your parts & service via the website. An extensive manual for uploading your files can be found at tab 2 of your excel sheet.